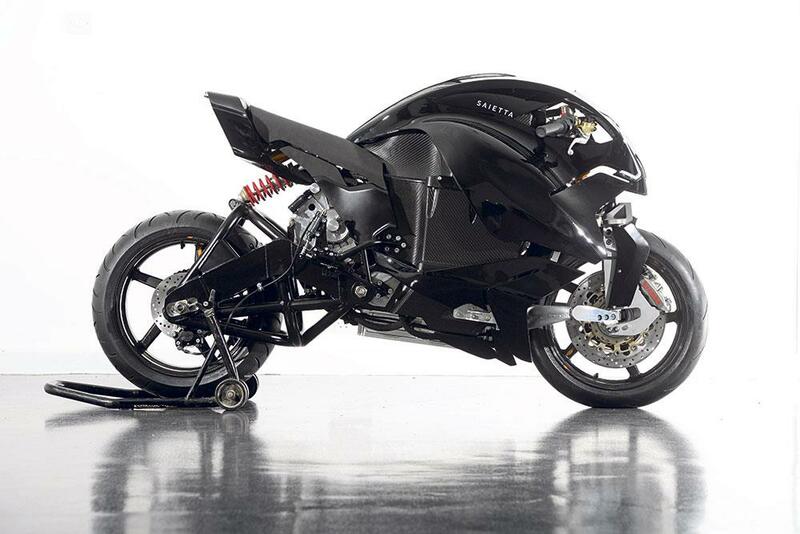 superbike, which promises blistering performance from its radical engineering and design. 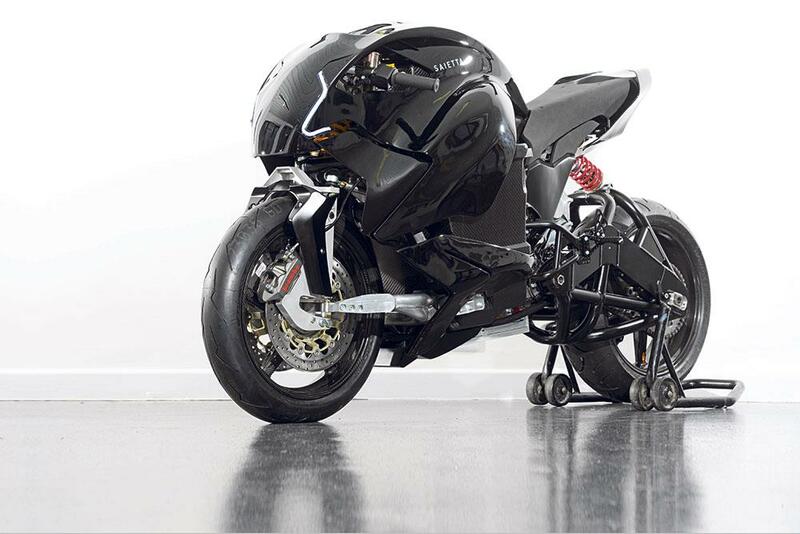 Beneath the futuristic looks is an electric-powered superbike with a load-bearing carbon fibre battery compartment, powerful electric motor and double-wishbone front suspension. Saietta may not be instantly familiar, but the company have been building electric bikes since 2008, and are a leading developer of electric motors and battery technology used by other manufacturers around the world. This Saietta NGS – the name stands for Next Generation Saietta – is still a prototype, and huge amounts of development still need to be conducted on the bike before it can make it into production, but it’s expected to go on sale within the next 12 months. Rabadia have carefully selected the people around them at Saietta Group and have recruited electric vehicle guru Cedric Lynch to help at the firm, which is based on a former Cold War airbase in Oxfordshire. 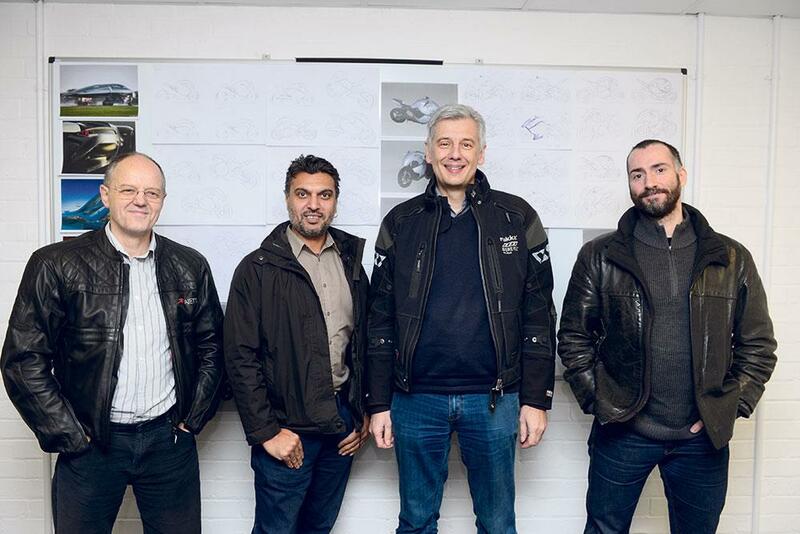 The team comprises a small collective of experts with backgrounds in motorcycle racing, Formula One, car design, aerospace and military research. The NGS is all about performance, this isn’t intended as a commuter bike or urban-hopper, instead it promises true superbike performance, with the team suggesting a power output of over 200bhp at peak, as well as a massive 110ftlb of torque. 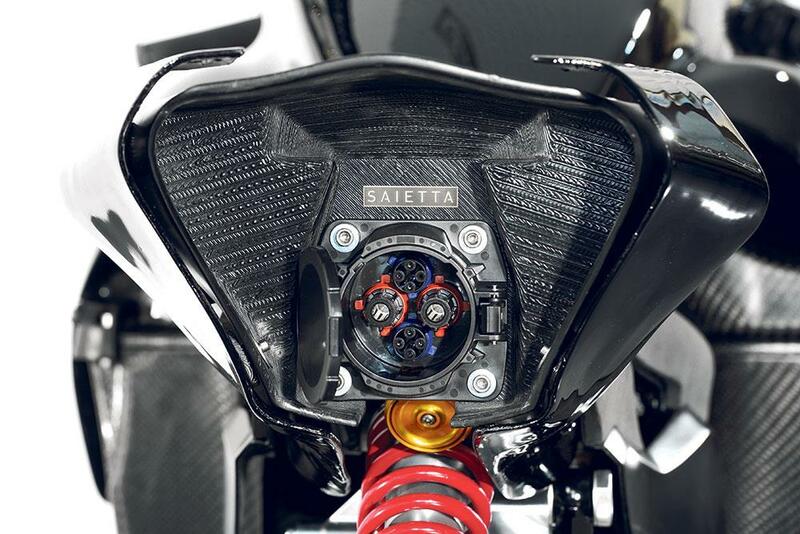 While this would normally result in the sort of range that would struggle to get you through a lap of the Isle of Man TT course, Saietta are promising performance that will stand comparison to a rival superbike’s fuel range from a tank of petrol. 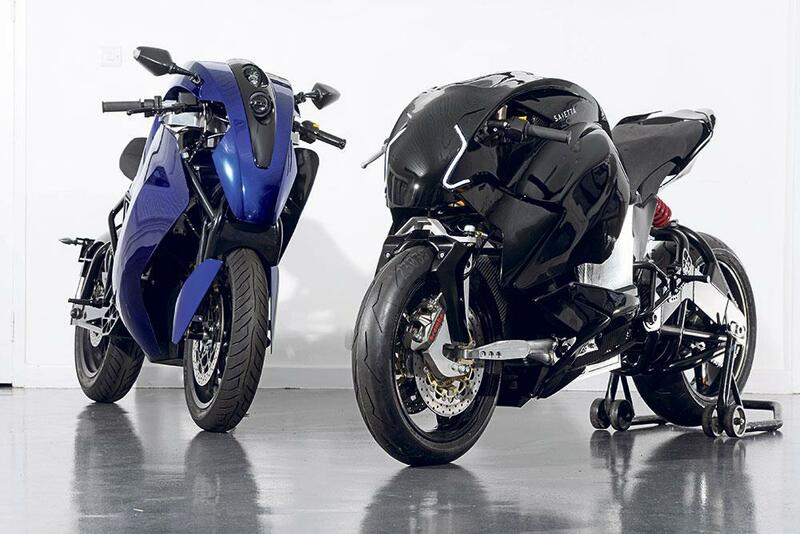 Where it will differ significantly from its petrol rivals is in price – the NGS is not going to be a cheap motorcycle. Packing cutting-edge electrical components and top-spec cycle parts, it’s expected to go on sale in early 2017 for around £58,000. 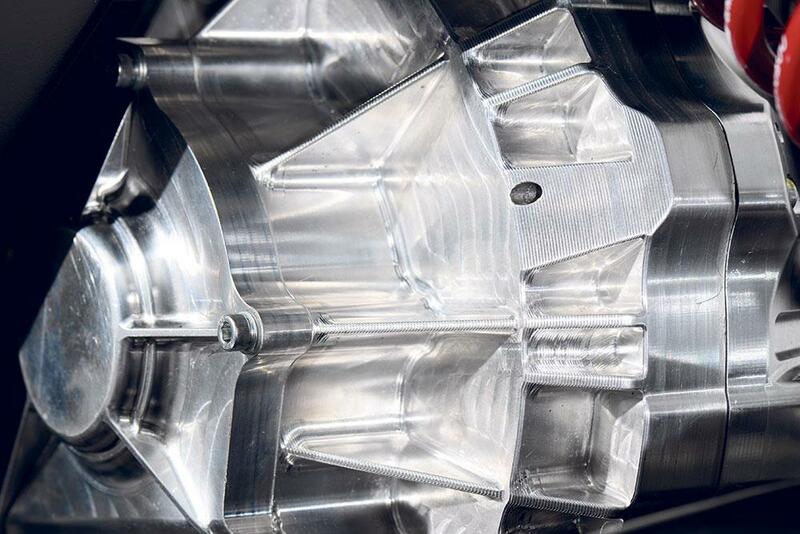 Marazzi told MCN: “Saietta isn’t a company that used to make internal combustion vehicles and is now trying to make electric motorcycles; this is what we have always done. We want this bike to have great riding characteristics, with smooth power, lots of torque, great midrange and amazing acceleration. There is no clutch and no gearbox – we want riders to be able to concentrate on riding and nothing else. “This machine is a big step forward for electric motorcycles, we see what Tesla are doing with electric cars as an inspiring example of a company winning awards and sales with great new technology. 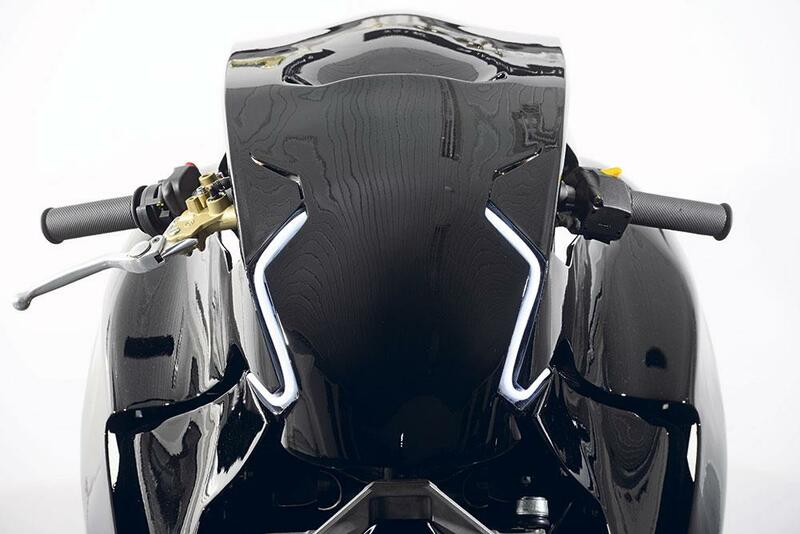 The technology under the all-black bodywork sees a structural carbon-fibre monocoque housing the battery pack with Saietta’s own motors and controllers deploying the power to the rear wheel. There’s a tight veil of security over the battery, but the firm did reveal to MCN that the underpinnings are based on knowledge from the aerospace industry, with the science being more advanced than standard lithium-ion units currently in common use in a variety of applications. The motor and controller are liquid-cooled via a pair of small radiators mounted under each side of the fairing. This is the first time that anyone outside Saietta has seen the NGS, and the firm were at pains to explain that much of the bike will be changed, modified and improved before it gets the sign off for production. 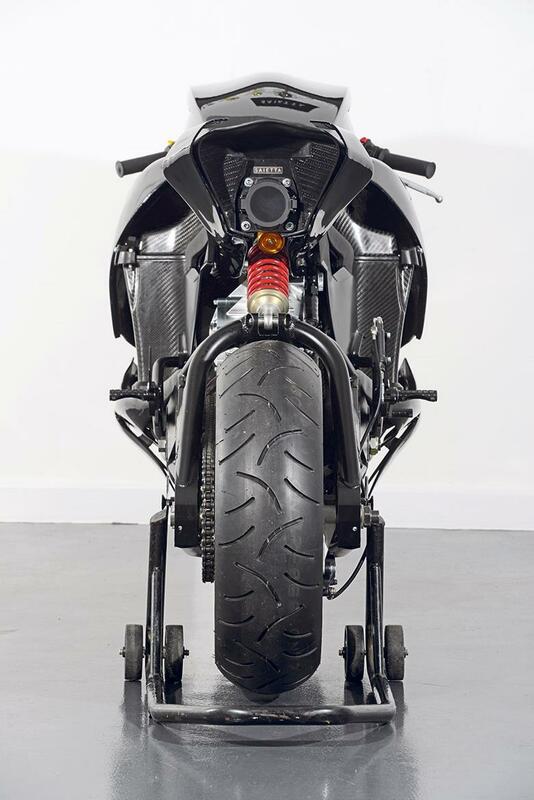 The swingarm is a prototype that is likely to become a less complex version constructed from welded aluminium, while the footrests will be changing, the suspension will also see revisions.